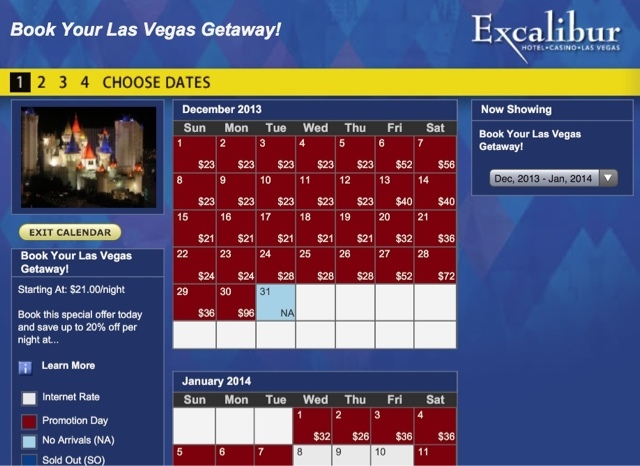 The Excalibur hotel currently has a promotion for rooms as low as 21$ a night and include a 20$ dining credit. Availability is pretty good and you can search by month here. Remember that Hyatt has partnered up with MGM so this is a super cheap way to rack up Hyatt nights towards elite status. There is a resort fee in addition to this price but word on the street is that if you complain about the slow wifi they will waive it.